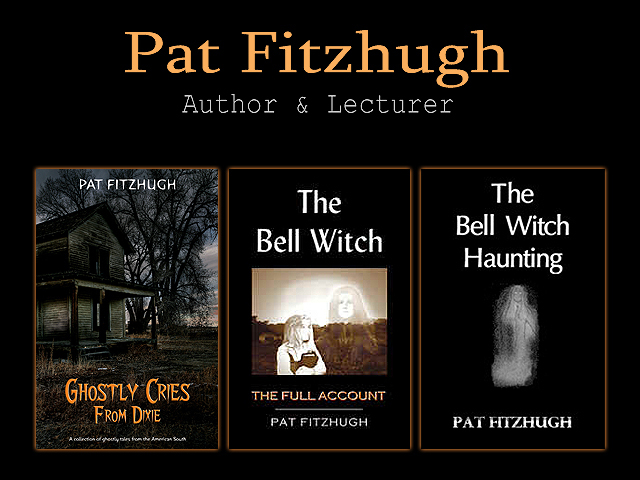 Posted in Amazon, Books, e-books, Ghosts, Historical Fiction, Paranormal, Storytelling and tagged Bell Witch, ghost stories, ghosts, Halloween, hauntings, legends, paranormal, spooky, witches, zombies on October 9, 2013 by Pat Fitzhugh. GOOD NEWS! “The Legend of Stuckey’s Bridge” is now released for the Amazon Kindle! The paperback and Nook editions will be available later this month. What is Stuckey’s Bridge? In 1901, the Virginia Bridge & Iron Company began re-building a fifty-year-old Mississippi bridge. In the middle of the project, they began discovering bodies buried on the banks of the river. Legend has it, he was so evil, he was even thrown out of the notorious Dalton Gang. Years later, he opened an inn near the river, and on foggy nights, boatmen witnessed him pacing back and forth across the bridge, waving his lantern, offering travelers a hot meal and a soft bed. Those unfortunate enough to take him up on the hospitality were often never seen again. To this day, eerie experiences are still reported around the bridge that now bears his name. If you travel down to Stuckey’s Bridge, be careful, for not much else is known about the man locals refer to as Old Man Stuckey…until now. Posted in Amazon, book promotion, Books, e-books, Ghosts, Historical Fiction, kindle, Storytelling and tagged amazon, e-books, eBooks, ghosts, Kindle, legends, mississippi, new book releases, new books, paranormal, storytelling on June 17, 2013 by Pat Fitzhugh. The video trailer of “The Legend of Stuckey’s Bridge” is now online! In 1901, the Virginia Bridge & Iron Company began re-building a fifty-year-old Mississippi bridge. In the middle of the project, they discovered more than a dozen bodies buried in the banks of the river. The Legend of Stuckey’s Bridge – available June 2013 in paperback, Kindle and Nook. GREAT NEWS! The release date for The Legend of Stuckey’s Bridge has been moved up. It will be available on Amazon in both paperback and Kindle around June 21st. Barnes & Noble, Nook, Sony, Kobo, and iBooks, will follow shortly thereafter. The video trailer premieres next week. Posted in Books, e-books, Historical Fiction, indie publishing, kindle, Paranormal, Storytelling and tagged folklore, Forthcoming titles, historical fiction, legends, mississippi, mustread, new books, paranormal on May 21, 2013 by Pat Fitzhugh. Lori is a great author and historian. I really appreciate this opportunity! I am delighted and overjoyed to announce the best collaboration in the history of publishing—well, in my little world anyway. I am currently finishing a ghost story/Mississippi legend called “The Legend of Stuckey’s Bridge” and the foreword will be penned by none other than Mr. Ghost Story himself,Pat Fitzhugh, the author of “Ghostly Cries from Dixie” and“The Bell Witch: The Full Account.” I have been a long-time admirer of Mr. Fitzhugh and his ghost stories and am excited to share this story with you through his eyes as well as mine. Posted in authors, Books, e-books, Ghosts, Historical Fiction, Storytelling and tagged amazon, amwriting, author appearances, authors, books, e-books, ghosts, historical fiction, legends, Writing on April 8, 2013 by Pat Fitzhugh. The “dead of winter” special for Ghostly Cries From Dixie ($2.99) is still happening! If you like reading about history, the South, and haunted locations, this collection of weird and ghostly tales from the land of moonshine and magnolias is for you! Why buy it at Halloween for $5.99 when you can buy it NOW for only $2.99? “From the murky swamps of Louisiana to the misty hollows of Appalachia, the American South is enshrouded by a mystical element that rouses the senses and kindles the imagination. This mystical element has for years inspired tales of ghosts haunting old houses, creatures roaming dense forests, and headless apparitions waving lanterns along old railroad tracks. In this chilling collection of weird and ghostly tales from the land of moonshine and magnolias, Pat Fitzhugh meticulously recounts Dixie’s most terrifying tales and the haunted history behind them. These stories will never go away or become outdated. They, along with the landscape of our region, are permanently etched into our human experience. Whether you are a believer or a skeptic, you will be left wondering about — or perhaps admitting to for the first time — experiences of your own that you can’t explain. Go snag a copy from Amazon! “Ghostly Cries From Dixie” — Front cover. Posted in Books, e-books, kindle and tagged dixie, e-books, eBooks, ghosts, Kindle, legends, paranormal, poltergeists, scary, spooky, stories, witches on February 7, 2013 by Pat Fitzhugh. I am offering a “dead of winter” special on Ghostly Cries From Dixie (Kindle edition only). For a limited time, you can get it at the Amazon Kindle Store for only $2.99. Huh? That’s right–Ghostly Cries From Dixie for less than three dollars! Ghostly Cries From Dixie is a chilling collection of weird and ghostly tales from the American south. You’ll learn about Waverly Hills Sanatorium, the Sultana disaster, the Greenbrier Ghost, Sloss Furnaces, the McRaven House, haunted Charleston, Voodoo Queen Marie LaVeau, the Bell Witch of Tennessee, and many more of the South’s weirdest, most terrifying tales, all for only $2.99! Download your copy, fire up your Kindle, and get your spook on!